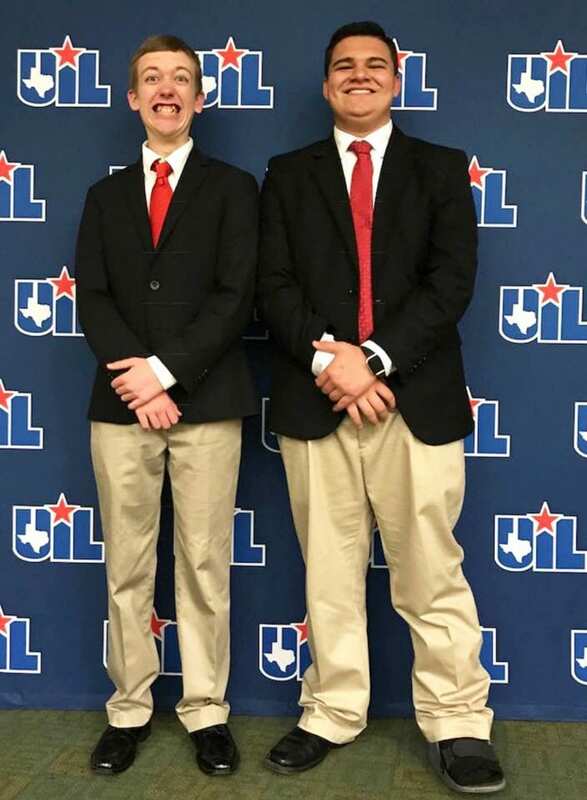 At the district Cross-Examination, or Policy, Debate UIL District meet back in January, Pleasanton High School advanced two teams to the UIL State meet in Austin. 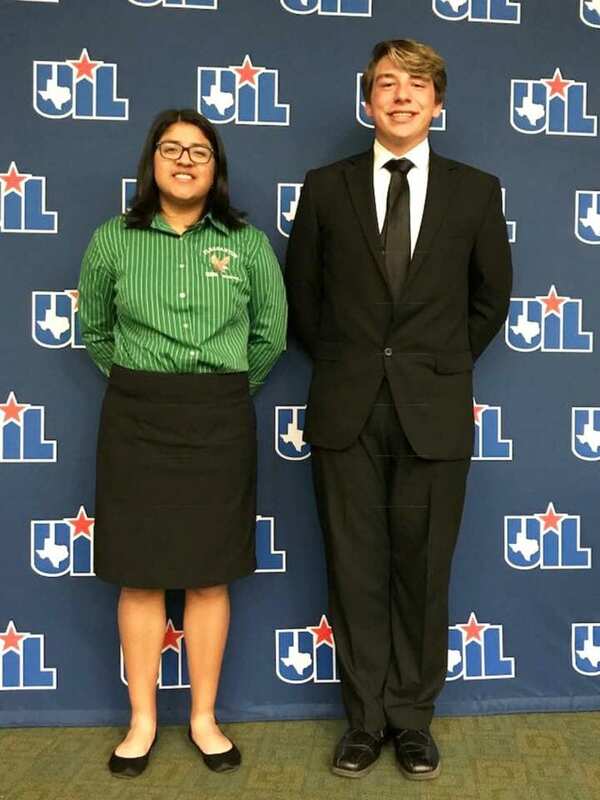 The two teams of Gabrielle Diaz and Allen Rogers, and Nathaniel Hernandez and Robert Rutherford, competed in four rounds of debate at the state meet on March 16 at the University of Texas-Austin campus. This was the second year to compete at state for Gabrielle and Allen, and the first state level competition for both Nathaniel and Robert. 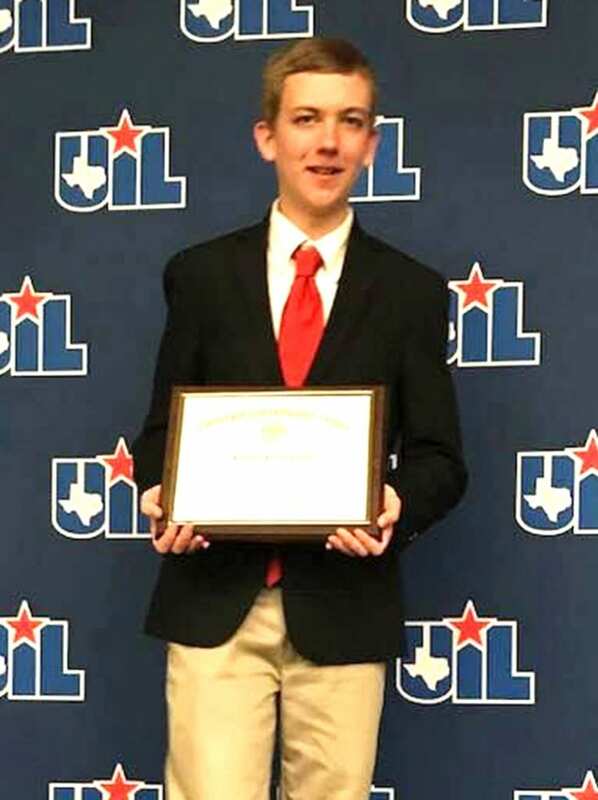 Both teams achieved a 2-2 record in their four rounds, but the big prize came to Robert Rutherford as he earned the award for the top 6th speaker in the state for conference 4A.